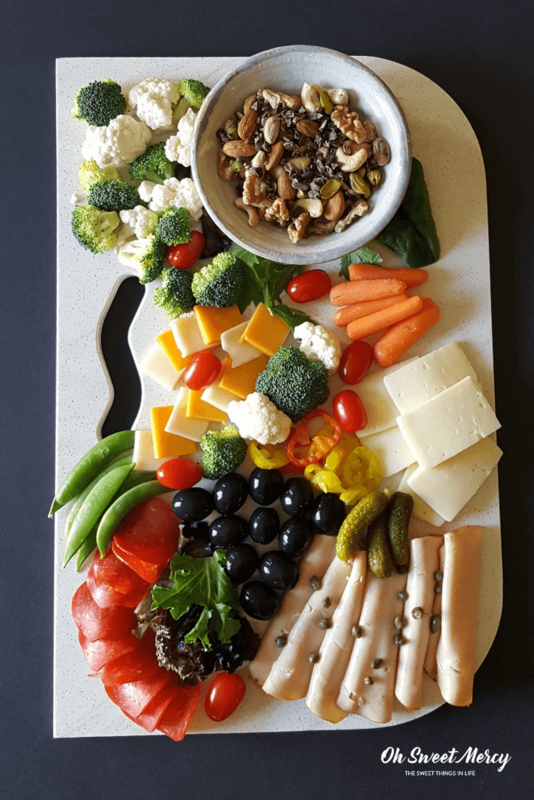 Whether you’re entertaining for a special occasion, hanging out with the family for movie night, or just lazing around on the weekend, a charcuterie board is the perfect snack solution. Because let’s be honest — snacks can get even the most well-intentioned Trim Healthy Mama in trouble! 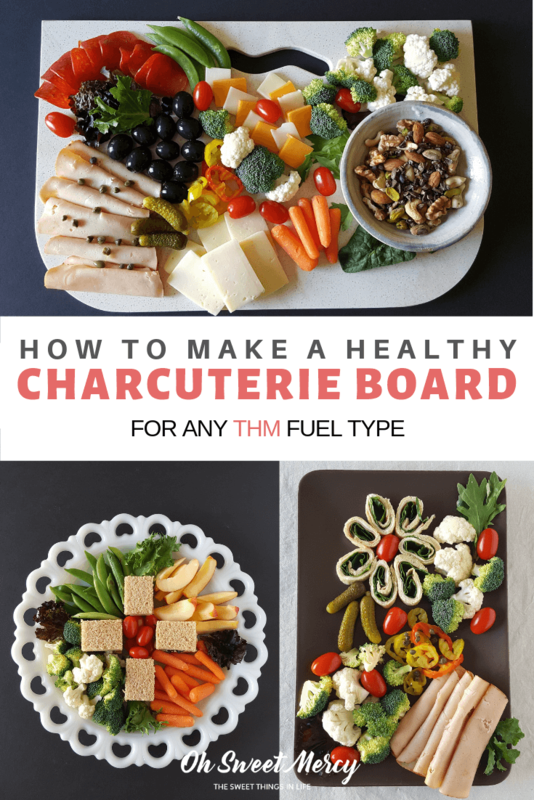 I’ll show you how to make a THM charcuterie board to help you stay on-plan while entertaining or snacking. 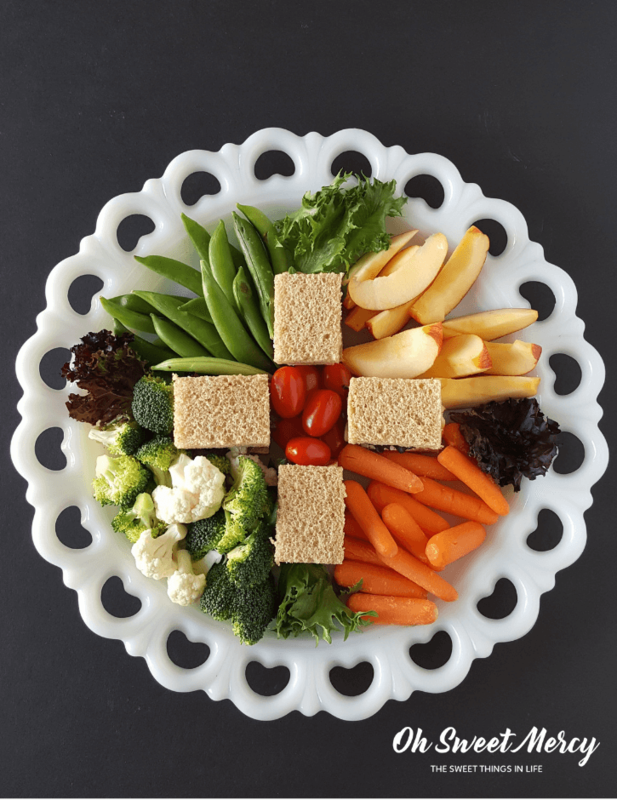 It’s so easy to create a beautiful array of healthy, THM-friendly snacks! Are you wondering what in the world is a charcuterie board? I just recently learned about these wonderful snacktastic things and we’ve been enjoying them on our Sabbaths. They are perfect for no-cooking days! They are also a gorgeous addition to your party buffet. We’re a no-pork household so that description totally turns me off! Thankfully these days a charcuterie can include whatever you want. 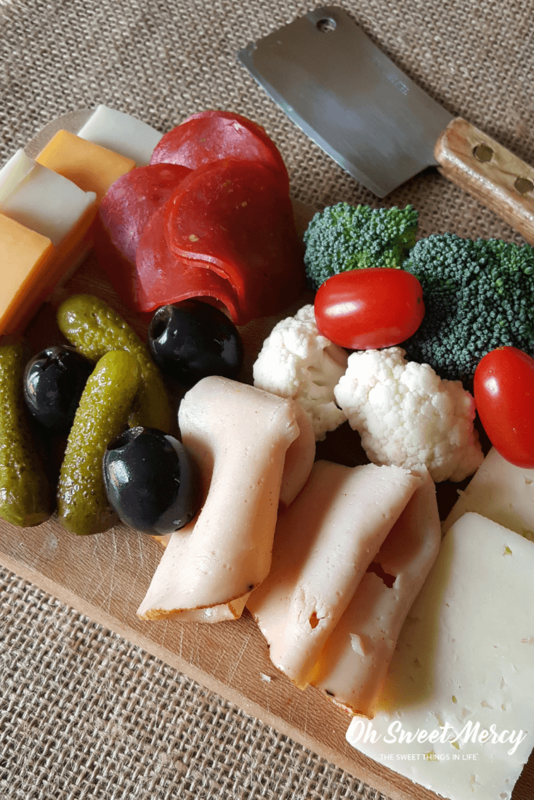 Think of charcuterie board as a fancy way to say “appetizer plate.” It’s a board, platter, or other serving surface typically loaded up with meats, cheeses, crackers, and other snack-type foods. And it can get us THMs in trouble! Looking around on Pinterest you’ll see almost every imaginable combination of foods on a charcuterie board. So let’s build a Trim Healthy Mama version and stay on-plan! You can get super fancy with your charcuterie board or just throw together whatever you have on hand. You can build a huge one or just a single serving size for those rare occasions when you’re home by yourself with a good book or movie. Yeah, I know…when does that actually happen? You’ll need just a few things. 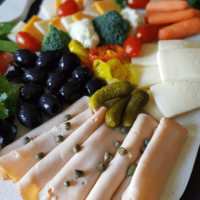 Something to serve on, some THM-friendly finger foods, and a little creativity. Not creative? No problem! You can just throw some stuff together and call it good. 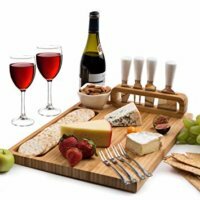 This can be an actual board (great for huge crowds), a marble serving board, a platter, vintage serving plates from your grandmother, or a simple cutting board. What foods will you want to put on your charcuterie board? 2. 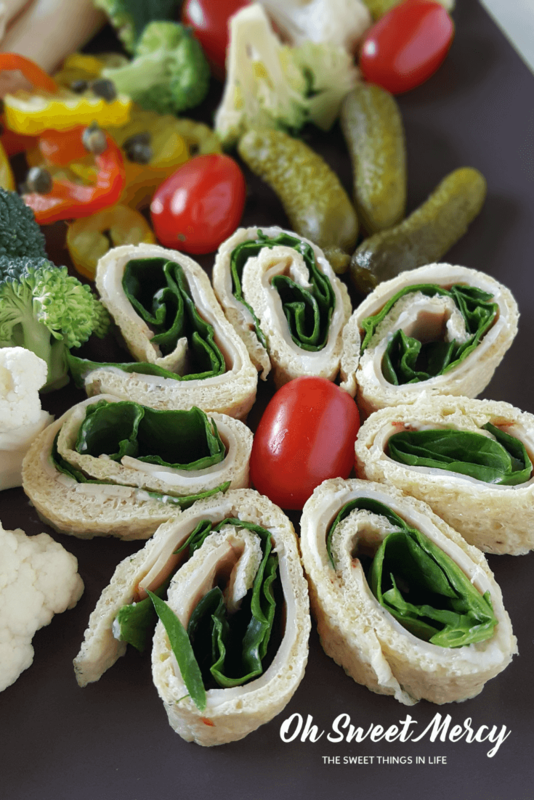 Trim Healthy Mama Plan-Friendly Finger Foods — Choose a Fuel Type! You’ll of course want to pick a THM Fuel Type right off the bat. If you’re entertaining, THM S is typically ideal. You can still include leaner S options if your guests prefer. What if you want some THM E snacks? Is a THM FP charcuterie board even possible? Absolutely! While a FP (Fuel Pull) may be better suited for solo snacking, if you’re having a THM get together with many other THM treats to try it’s a great option. You can also go Crossover or S Helper and have a variety of S and E foods to choose from. This would allow your guests to decide how they want to eat. As always, be sure to check the THM Plan Book for clarification if you need it. It’s the best source of accurate plan information (aside from chatting over Trimmies with Pearl and Serene, of course)! 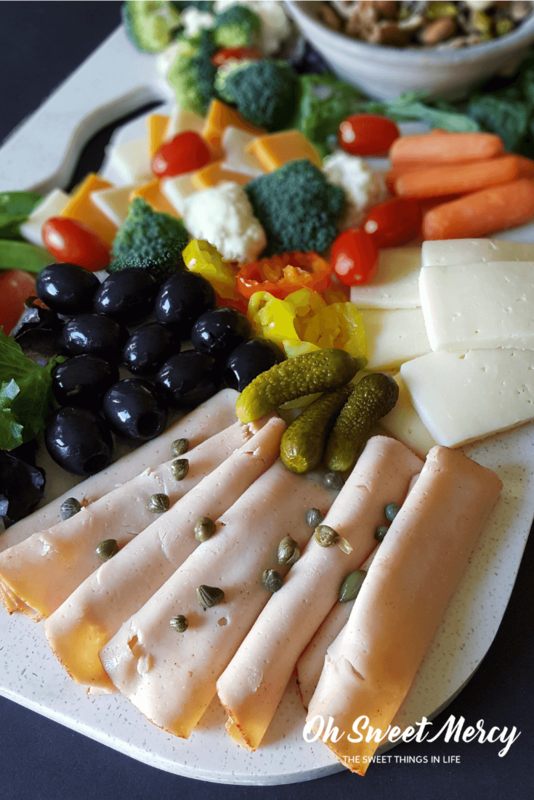 While fresh fruits and veggies are terrific, adding lactofermented condiments suitable for your selected THM Fuel Type is also a great way to get those healthy probiotics into your snack sessions. Check out this huge list of fermented condiments from Traditional Cooking School! 3. Get Creative — Or Not! If you’re entertaining you may want to choose foods centered around a particular theme. Think Mexican, Italian, Asian, or Southern favorites. Or perhaps a favorite book or movie will inspire you. Finally, the occasion itself may ask for a theme, such as a baby shower or graduation. You can practice your knife skills and create beautiful radish roses or other fancy creations out of fresh produce. Carve the Eiffel Tower out of cheese. Build a London cityscape with Tower Bridge spanning your serving platter. Ok maybe that’s getting carried away, but you could if you wanted to. What does Danny say? What if you could, right? Maybe you don’t feel creative or are petrified of cutting off a finger. That’s fine too! Just throw together whatever healthy THM snacky foods you have. 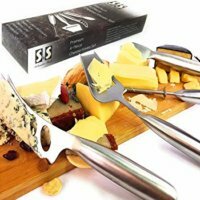 This is perfect for just munching with the family on movie night or on your own (just in case you ever find yourself with some down time). But, I do encourage you to try something fancy for your family, and even for yourself. Why not treat them (and YOU) as well as guests, right? And somebody out there needs to hear me — YOU need to treat yo self now and then too. You are worth it. Just make sure those treats are on plan and make yourself a beautiful spread to leisurely enjoy. Let’s Make A THM Charcuterie Board! 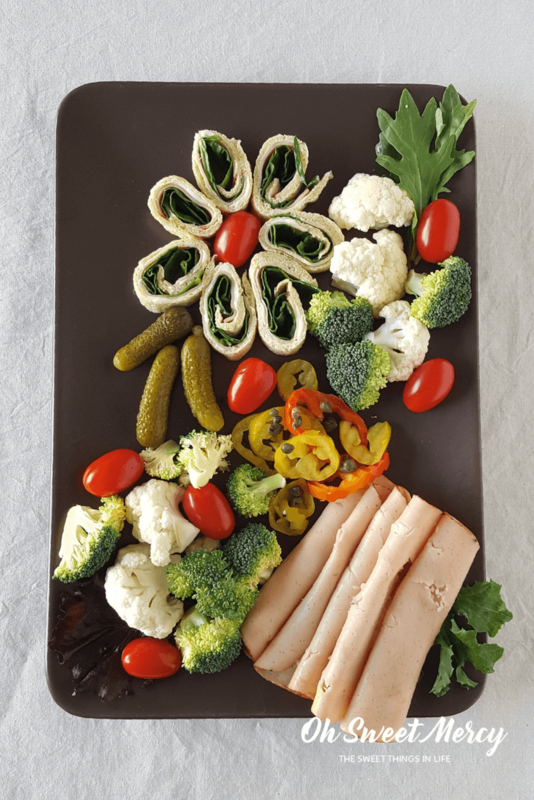 From single serve to party perfection, here's how to get your THM Charcuterie on with a beautiful presentation of THM friendly snacks. Perfect for movie night, entertaining or just lazy weekends. 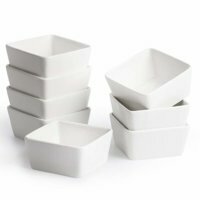 Choose a serving surface such as a board, platter, large plate, etc. We make charcuterie boards all the time! We love them, sometimes we even make a meal out of them! They are wonderful things for sure! My hubby likes a real meal when he gets home from work but there are times when he’s not home for supper and the kids and I just snack on stuff. They make an easy and fun meal! He does like our Sabbath charcuterie though, I’m thankful for that. Thanks for stopping by! I LOVE doing boards. So many opportunities to get creative, and it’s always a crowd pleaser! I enjoyed reading more about the different THM options! (Love your name!) 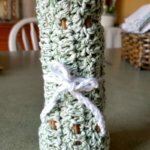 They really are great for letting your creativity fly and definitely perfect for parties!